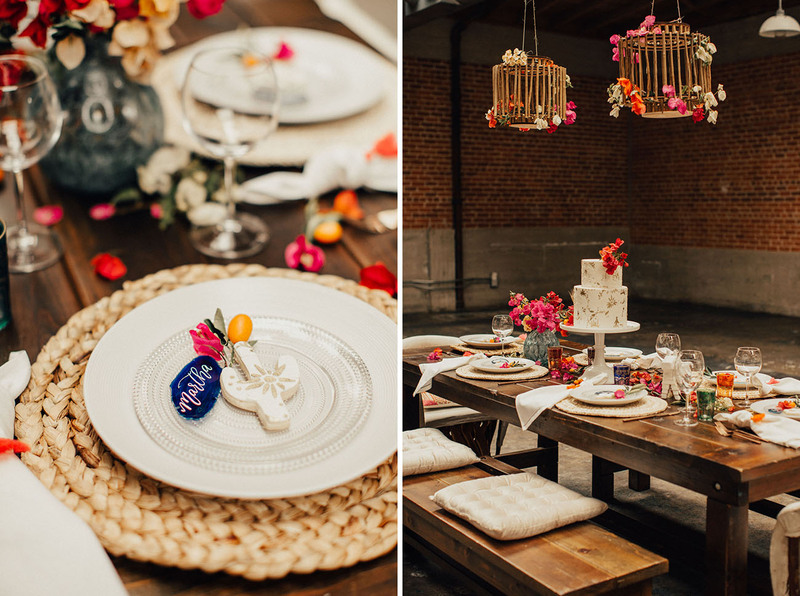 This styled shoot was so much fun. 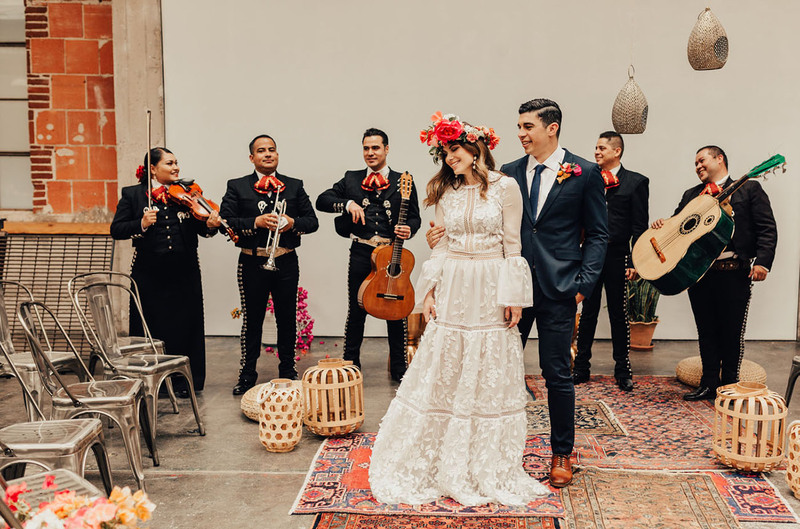 I wanted to celebrate culture and diversity by throwing a festive yet chic and modern wedding surrounding these elements. San Diego is a melting pot for diversity since we are neighbors with Mexico. 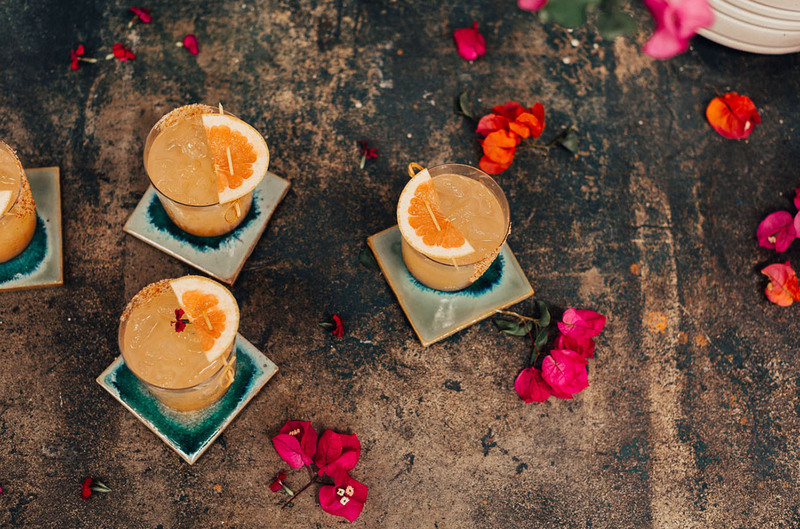 You can see the influence in our city’s food, music and cultural scene. 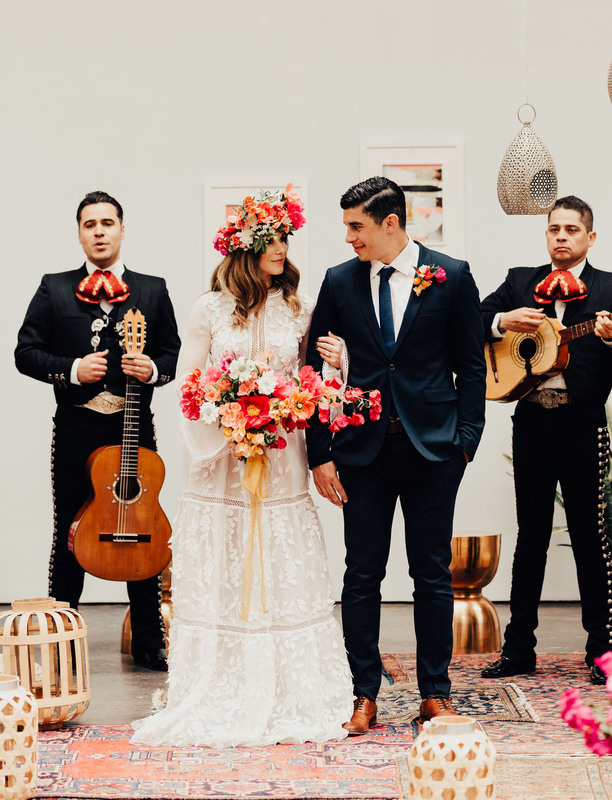 I believe this styled shoot represented the combination of two cultures! 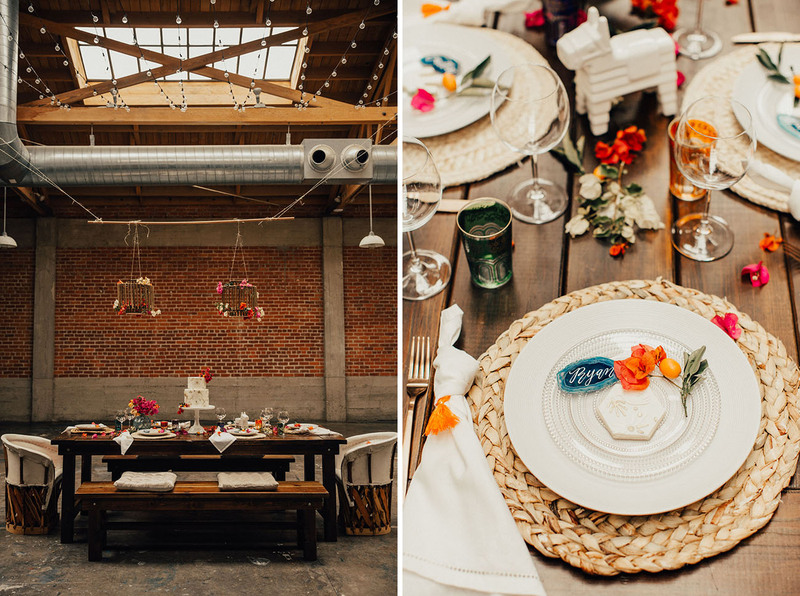 Brogen Jessup Wedding Photography captured all the beauty and diversity of the day—let’s have a look! 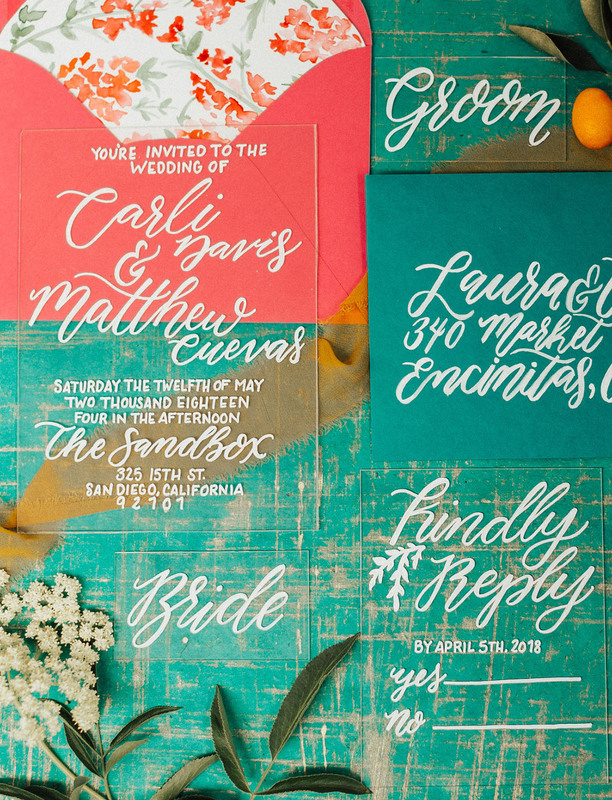 Calligraphy goals by Lavender + Sea! 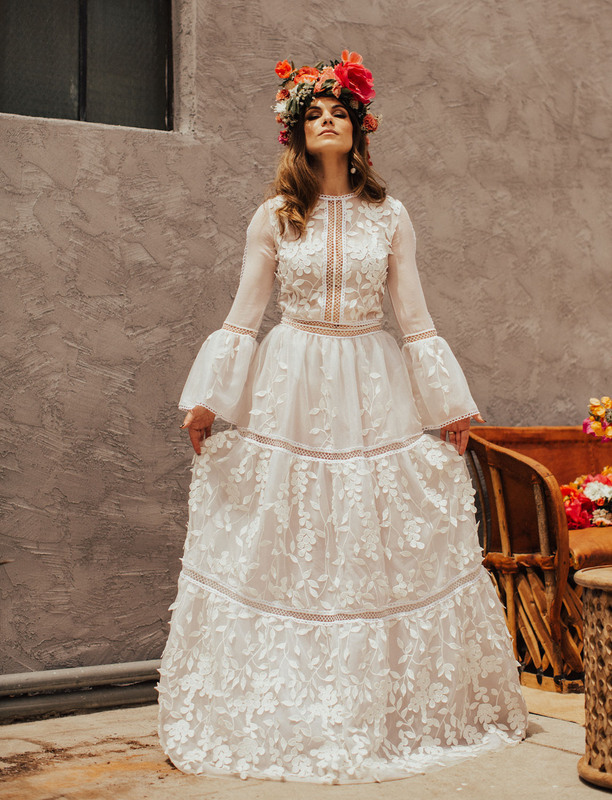 How DREAMY is this dress from The Dress Theory?! 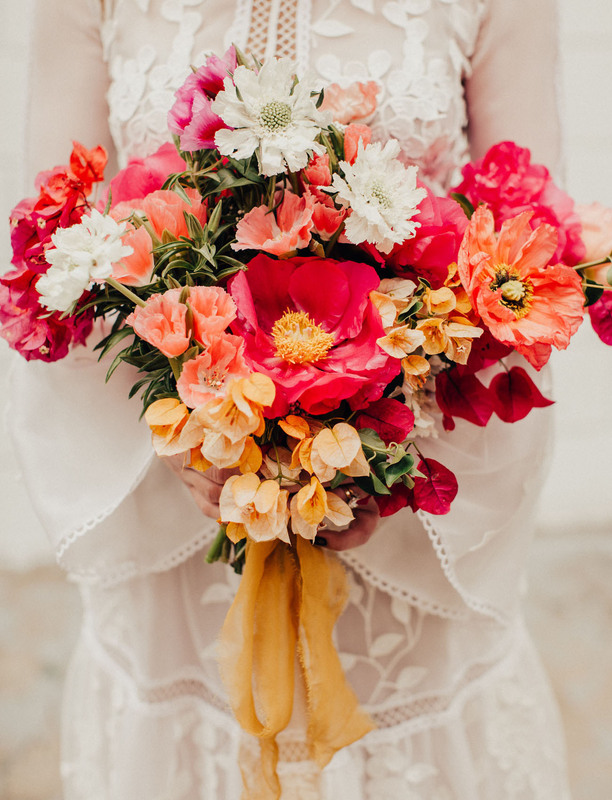 Bell sleeves forever! And Vanessa Nicole gave the bride a fresh-faced look paired with the perfect smokey eye. 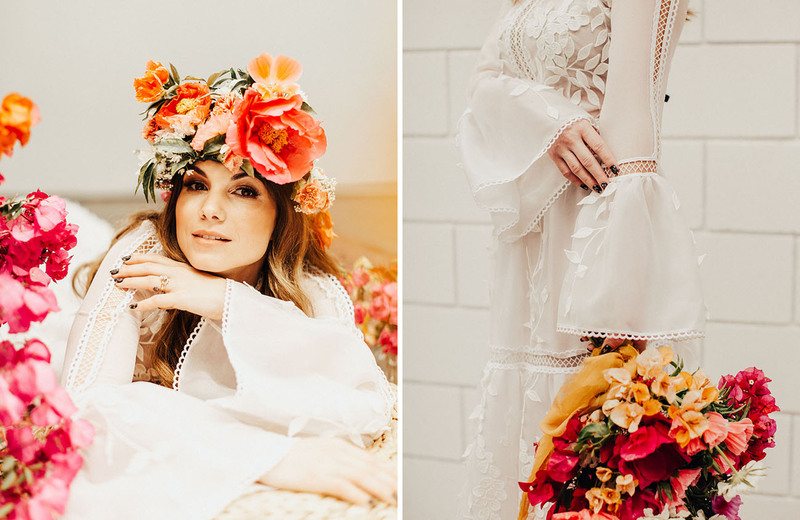 This shoot came to life thanks to the incredible talent behind Fox & Flora Designs! 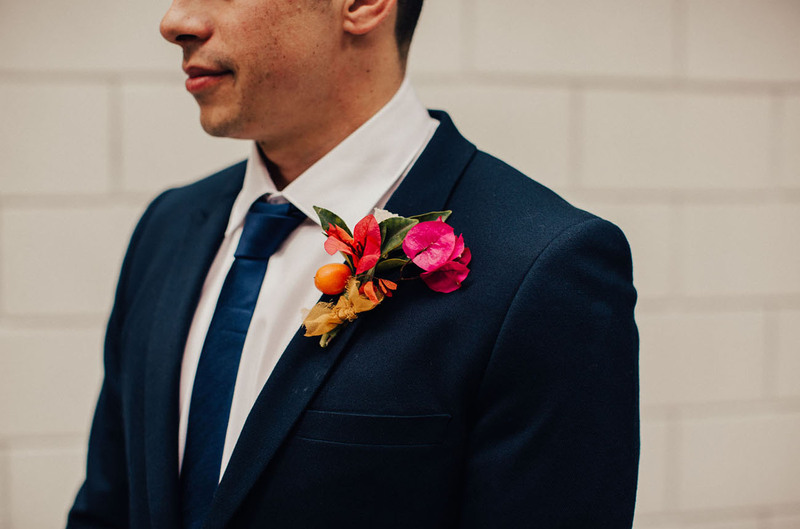 SO much love for vibrant color and bougainvillea! 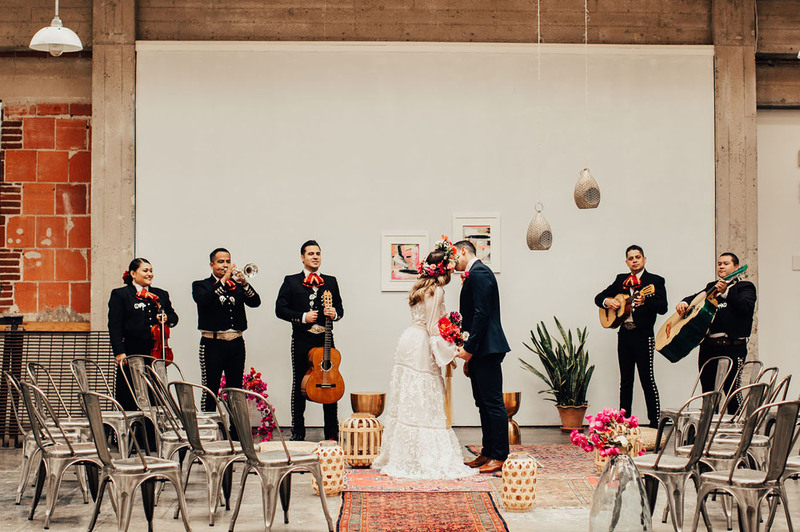 The team relied on vibrant pops of color to both represent the festive, traditional designs of Mexico and highlight the darker tones of Sandbox Venue‘s industrial warehouse vibes. 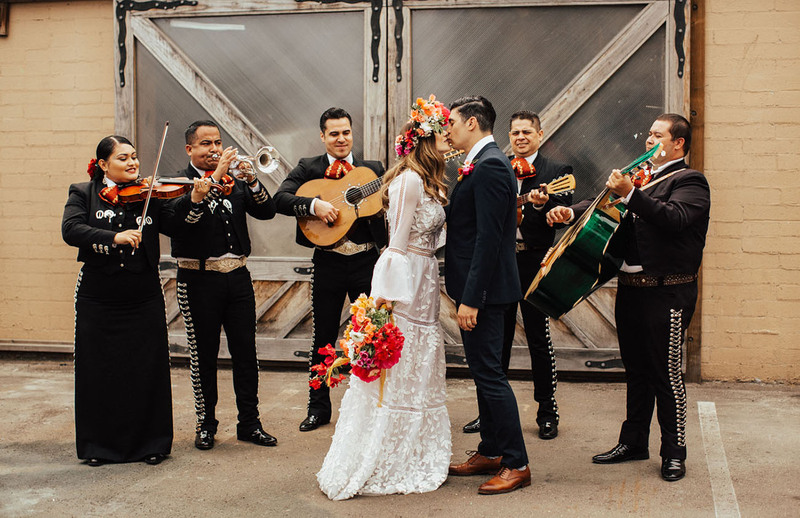 A Mariachi Band was a quintessential element to the day! 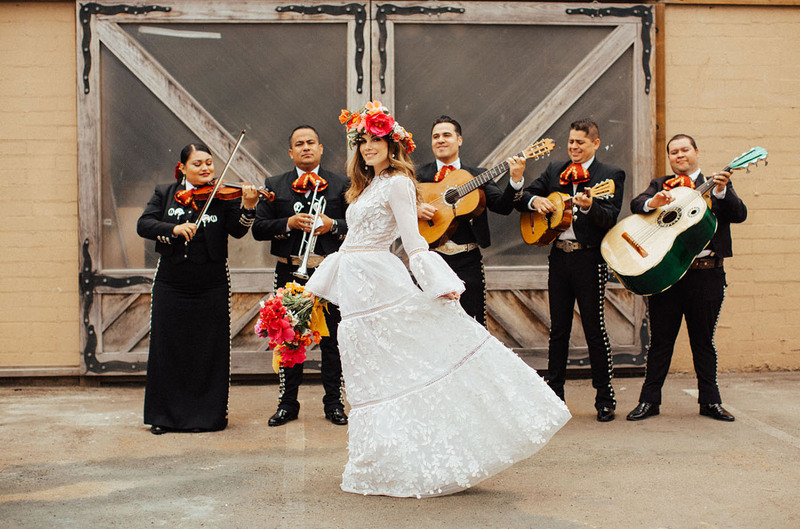 Mariachi Mi San Diego provided the most perfect soundtrack as the bride + groom celebrated! 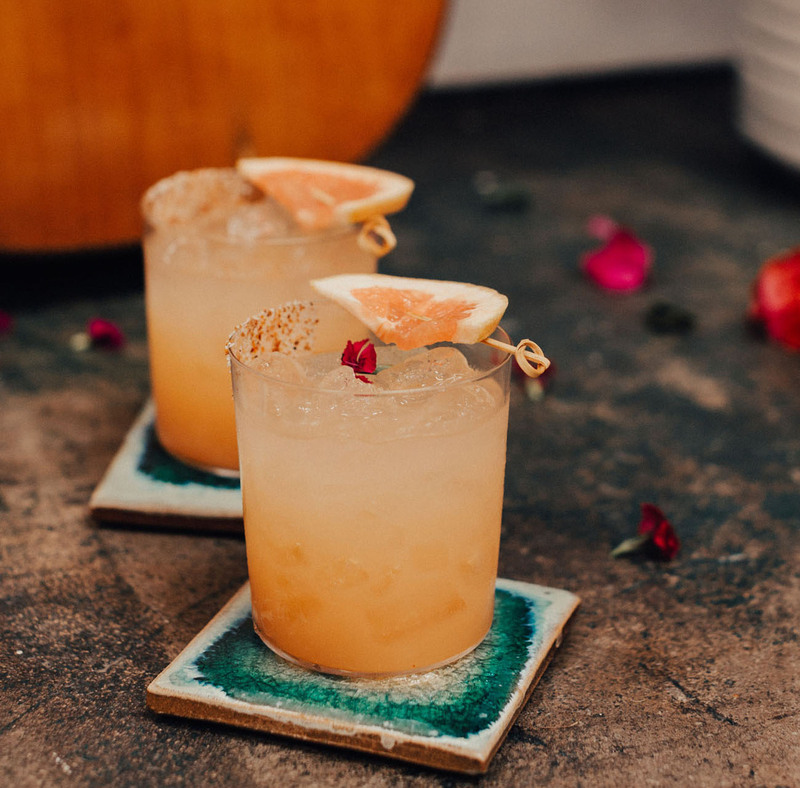 Snake Oil Cocktail Co. created beautiful and tasty drinks to match the festive vibe! 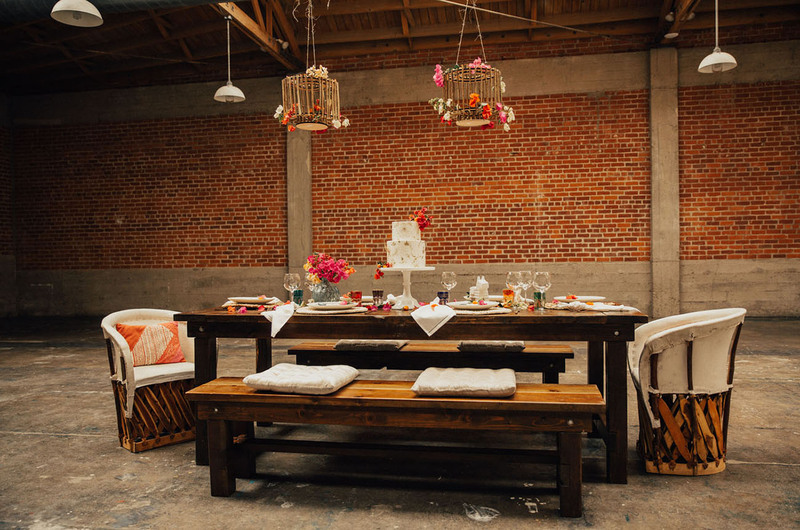 Stecklair Event Co. made this wooden, farmhouse table and Witty Rentals brought in furniture rentals for a modern-boho vibe. 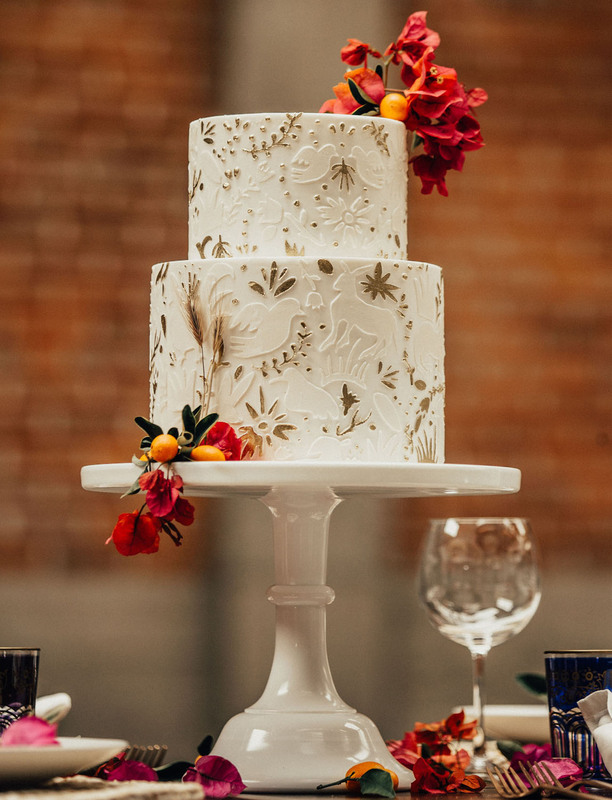 Milly’s Fine Cakes designed a decadent, two-tier cake and sumptuous, delicately-crafted cookies inspired by the colors of Oaxaca! Such a fun shoot! Watch this quick behind-the-scenes video from Studio Luniste to see how the day came together! 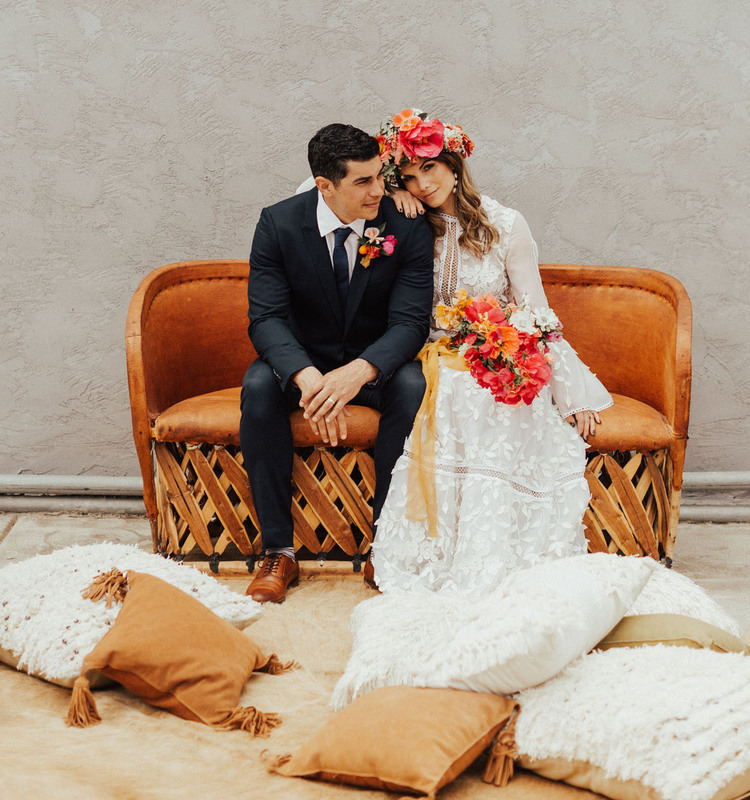 photography: Brogen Jessup Wedding Photography // venue name: Sandbox Venue, San Diego, California, USA // event design: Laurel Street Events // planning: Laurel Street Events // florals: Fox & Flora Designs // wedding dress boutique: The Dress Theory // getting ready robes: Robed With Love // makeup artist: Vanessa Nicole // videography: Studio Luniste // calligraphy: Lavender + Sea // cake: Milly's Fine Cakes // tabletop rentals: Laurel Street Events // furniture rentals: Stecklair Event Co. // specialty rentals: Witty Rentals // music: Mariachi Mi San Diego // models: Nicole Zeichick and Paul Herzog // cocktails: Snake Oil Cocktail Co.
Amazing wedding with traditional culture. 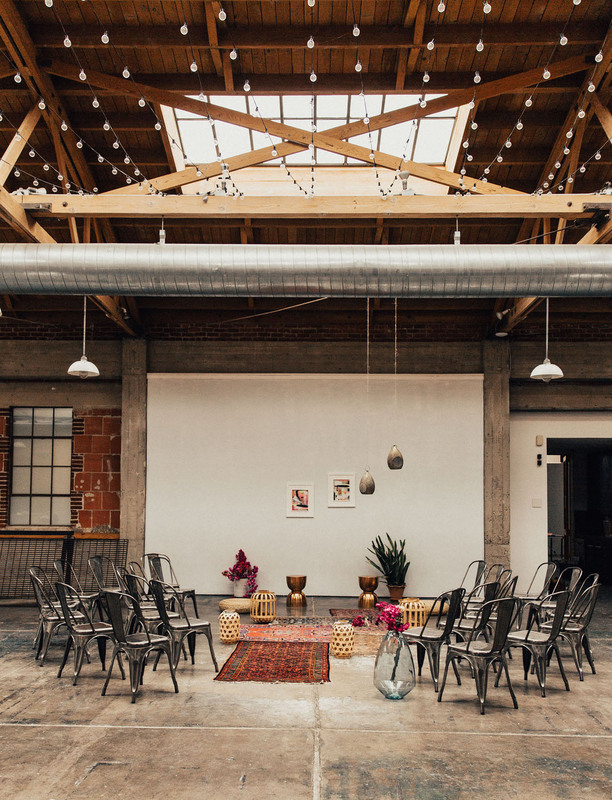 Reception photos are too superb.